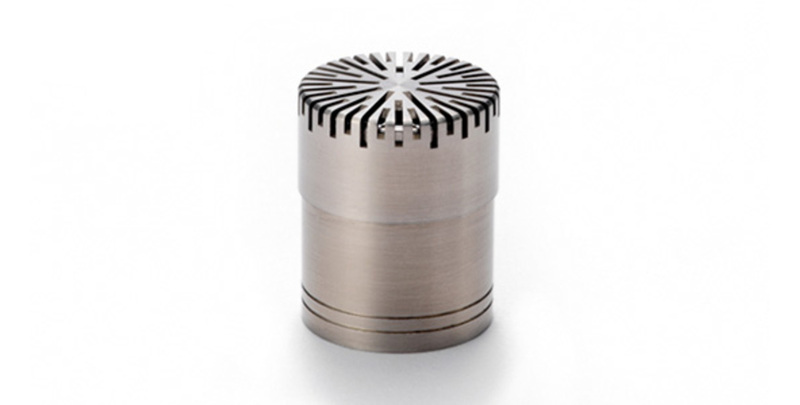 GRAS 40AE is a high-precision electret condenser microphone made according to IEC 61094-4 requirements. The electret technology for microphones was introduced in the beginning of the 1960’s and has been continuously improved over the years. At GRAS, we have developed and refined our own techniques. This guarantees that our prepolarized microphones are as stable and robust as our traditional, externally polarized versions in daily use scenarios. The 40AE’s design is based on the original reference ½” pressure microphone, but optimized for free-field measurements with a 12 dB increase of the sensitivity. The result is a nominal sensitivity of 50 mV/Pa, slightly longer microphone housing, and a natural reduced dynamic range. 40AE is the perfect free-field complement to the GRAS 40AD ½” Ext. Polarized Pressure Microphone. 40AE is individually factory-calibrated and delivered with a calibration chart stating its specific open-circuit sensitivity, pressure, and corrected free-field frequency responses. The properties and robust design make 40AE the natural choice for an all-round free-field, high sensitive microphone suitable for both field-work and laboratory measurements. The high sensitivity and reliability has made 40AE the preferred measurement microphone for sound level meters/analyzers with CCP-option and, as such, enables IEC 61672 Class 1 measurements. The 40AE requires a standardized ½” or ¼” CCP preamplifier and an input module that supports this technology with a BNC, SMB, or Microdot connector. For daily verification and check of your measurement setup, we recommend using a calibrator like GRAS 42AG.